The Bible is awesome! But, let's be honest, most of us don't spend much time engaging in Scripture as often we would like. 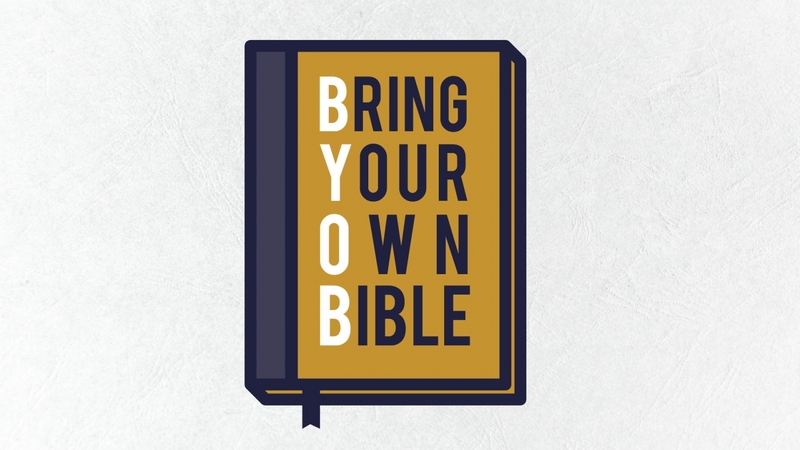 Well great news...we're getting ready to launch an 11-week summer sermon series this weekend, titled BYOB: Bring your own Bible. We know that consistent Bible study can be difficult. Whether it's not having enough time, not knowing where to start, or not understanding what we're even looking at - this series will address it all.